Swipe to hype! 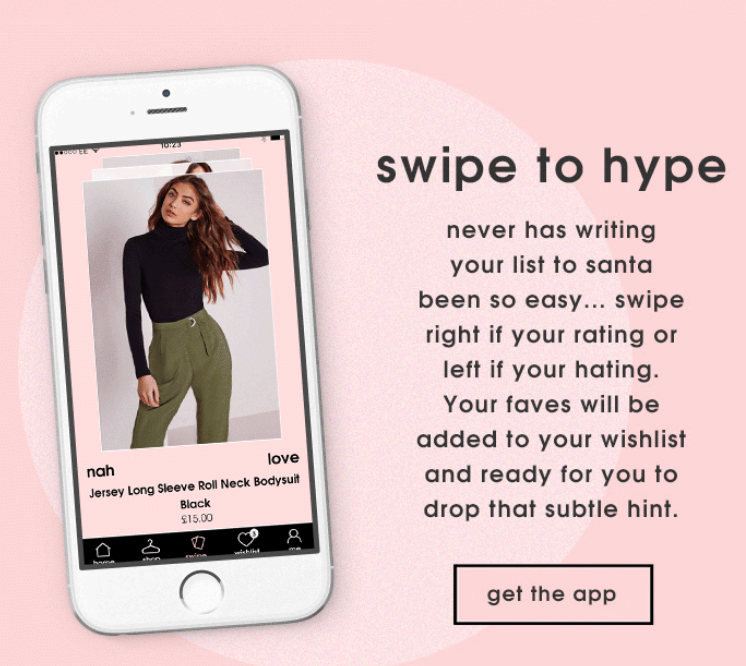 Never has writing your list to Santa been so easy... swipe right if your rating or left if you're hating. Your faves will be added to your wishlist and ready for you to drop that subtle hint.